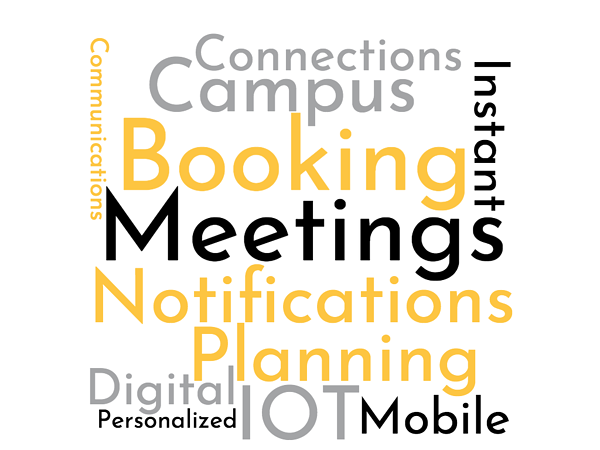 What: A mobile meeting hub helps both employees and visitors plan and keep track of meetings. This keeps team members engaged, on-time, and efficient by making collaboration easier. Why: The modern workplace experience is evolving. 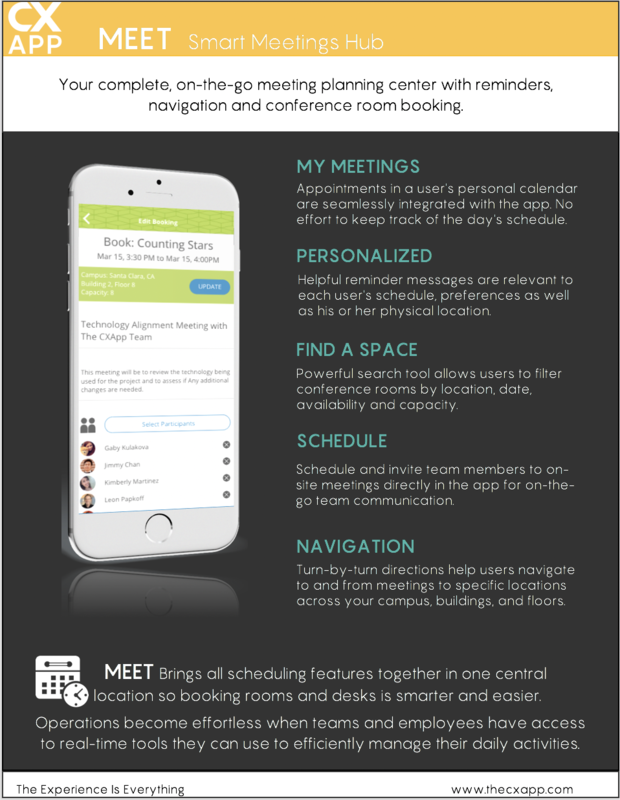 Employees and guests on a smart campus won’t waste time and energy searching for meeting spaces, getting lost or getting their appointments mixed up. A comprehensive, always-on meeting system encourages collaboration across the organization and improves customer experience by making in-person connections instantly accessible. 40% of employees waste up to 30 minutes a day searching for meeting space. Alexis Lively, Account Manager at Silcom Tech, has a schedule perpetually filled with meetings, both with clients and team members. Today Alexis is meeting with David Visitus, Director of IT at FlexOps, at 10am. At 9:45 Alexis grabs coffee in the cafeteria when she gets a notification on her phone: “Quarterly Check-In Meeting with David Visitus starts at 10am. Tap here to be guided to your destination”. Alexis knows that David is receiving the same reminder at that exact moment and is probably on his way to their appointed conference room. She’s happy he can get turn-by-turn directions, since the “Steve Jobs” conference room is in an out of the way corner of campus. With another tap of a button, Alexis and Carrie have booked the space they need to collaborate, with absolutely no time wasted. Ready for a better meeting experience?